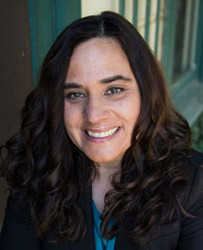 Sherine Pahlavan, Attorney at Law, provides legal representation to clients in all aspects of family law in Yolo County, including Davis, Woodland, Winters, West Sacramento, as well as Sacramento and Solano Counties and other surrounding communities. We specialize in all aspects of family law representation. We are committed to providing quality legal representation by advocating strongly for your best interests. We can assist you with your divorce and help you secure custody, visitation, child support, and spousal support orders that will work for you and your family. Additionally, if you find yourself in a domestic violence situation, we can help you retain/defend a domestic violence restraining order. While the goal is to work toward peaceful solutions, we are always prepared to fiercely advocate on your behalf to serve your interests. Serving Yolo County, including Davis, Woodland, Winters, West Sacramento, as well as Sacramento and Solano Counties and other surrounding communities. We will assist you in creating or modifying a workable custody and visitation agreement that suits the needs of your family, providing solutions that will allow you to continue to cultivate a positive and nurturing relationship with your children despite you and your spouse going your separate ways. We will work with your unique circumstances to ensure that child or spousal support agreements are fair and provide for the needs of your children. We will work with you to provide an accurate and equitable division of all property and debts, with an unmatched level of individual care to help ease the transition. Whether you are seeking a restraining order or defending a restraining order, we will work with you to protect your interests. "Compassionate, Knowledgeable ... Hands Down the Best Family Attorney in Yolo County"
"Hands Down the Best Family Attorney in Yolo County"
Personal legal matters require a personal touch. Family law matters are very personal and can have an impact on every aspect of your life. Dealing with dissolution and child custody issues can be difficult and confusing. Whether you have been married for a short time or have been in a long-term relationship, divorce is never easy. We will help you navigate through the muddy waters of such an important transition in your life with respect and dignity. We approach every family law issue with compassion, sensitivity, and professionalism and we’ll take the time to listen in order to understand your needs and hopes for the future. We will work with you in an efficient manner to help you reach your goals and find workable solutions to your family law issues. Sherine Pahlavan has always had a passion for solving problems and helping people. She graduated from the University of California at Davis in 2004 with a degree in Sociology. While there, she spent two years as a mentor/tutor for Upward Bound, a program that helps first-generation college-bound students prepare for post-secondary education. She then went on to earn her law degree at McGeorge School of Law. During law school, Ms. Pahlavan continued to serve the community as an Americorps member. 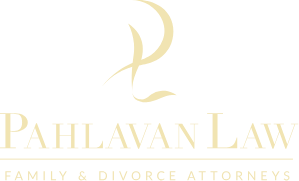 Sherine Pahlavan, Attorney at Law, provides legal representation to clients in all aspects of family law in Yolo County, including Davis, Woodland, Winters, West Sacramento, as well as Sacramento and Solano Counties and other surrounding communities. Find us on Avvo, Google, Yelp, and Facebook. The information you obtain at this site is not, nor is it intended to be, legal advice. You should consult an attorney for advice regarding your individual situation. We invite you to contact us and welcome your calls, letters, and electronic mail. Contacting us does not create an attorney-client relationship. Please do not send any confidential information to use until such time as the attorney-client relationship has been established.